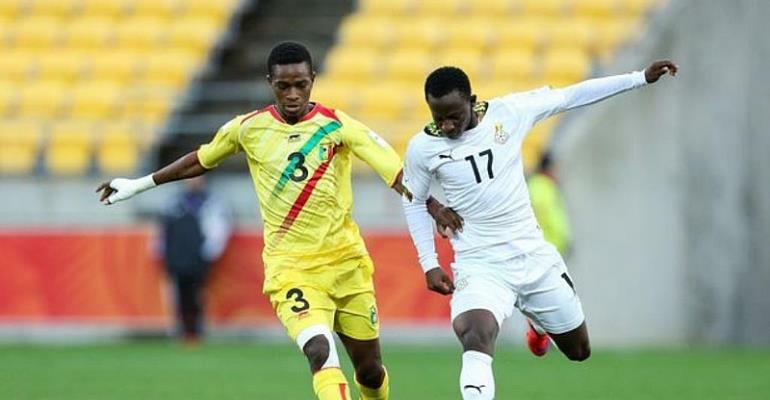 Captain for the Ghana u-23 team, Yaw Yeboah has revealed that he is confident they can beat Algeria in the final qualifying round to ensure they make it to the u-23 Africa Cup of Nations (AFCON) later this year in Egypt. Nicknamed the Black Meteors, the West African side drew goalless with Gabon yesterday to book a spot in the final qualifying round which has enhanced their chances of participating in the U-23 AFCON. Speaking in a post-match interview after the Gabon game, Yaw Yeboah expressed delight on behalf of the entire team whiles appreciating the support they have received from Ghanaians. According to the CD Numancia attacker, they are taking inspiration from how supportive everybody has been to them to boost them to perform even better in the final qualifying match. “I think we did well. I think we worked really hard for each other as well and then we qualified even though we couldn’t win of course. We qualified and we are really happy for that”. “For the preparations that we had for the two games against Togo and Gabon was really good, fantastic and we had the support from Ghanaians, the ministry, the government, everyone. So with that kind of motivation helped us to go through the second round as well”, he said. Yaw Yeboah continued “So I think we are going to have the same motivation to go against Algeria. With the performance, the boys will be doing really well. As I said we have athletic coaches and they have been teaching us really well. The effort, determination, and the encouragement is there and we are putting in our maximum best and we are getting there. He insists that despite Algeria being one of the best teams in Africa, the Meteors will be able to come out with the needed results over the two legs to ensure they make it the continental showpiece. The first leg of the tie will be played in Ghana on June 5, with the second leg scheduled for June 9 in Algeria.